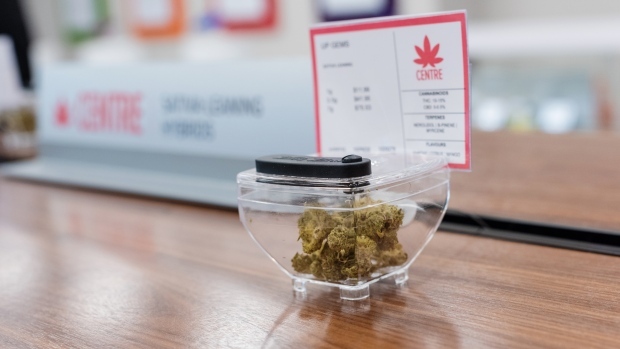 Toronto’s second legal pot shop opened its doors over the weekend to a more muted launch than its downtown counterpart. Ameri, which doesn’t appear to have a website or significant social media presence, quietly had its soft launch on Sunday to address any bugs in its operations, prepare staff and avoid the crush of buyers that The Hunny Pot Cannabis Co. experienced when it became Toronto's first cannabis retail outlet to open its doors on April 1. The store is located Toronto’s affluent Yorkville neighbourhood, which one store employee thinks will make it more convenient for shoppers who may have been afraid in the past to be associated with the drug before it became legal across Canada in October. There are now 11 of the 25 legal pot stores licensed to operate currently open in the province. Seth Rogen’s new cannabis brand Houseplant hit British Columbia shelves recently at a price point that might have the Canadian-born comedian laughing all the way to the bank. The Georgia Straight reviewed the Houseplant brand after it launched at a pop-up space in a Vancouver legal dispensary, decorated as a vintage living room complete with lava lamps and vinyl records. One-eighth of an ounce of the Houseplant sativa strain cost a whopping $68 at the dispensary - about double what other strains of similar sizes retail for, though prices vary at other retailers. Houseplant comes packaged in an orange cardboard box resembling an old VHS tape case. Houseplant’s other products are expected to be released nationwide later this year. Another day, another celebrity getting into the cannabis business. Professional skateboarder Tony Hawk, best known for completing the first documented 900 trick, plans to launch several co-branded CBD wellness products with Vancouver-based 1933 Industries through his Birdhouse Skateboards brand. The deal, which was struck over a two-year term, will include CBD-infused recovery creams and lotions, as well as hemp-only recovery creams and lotions across North America. A release date hasn’t been formally finalized. Controversial marijuana investor Andy DeFrancesco is being accused of sending a derogatory and sexually explicit message to an independent journalist who was reporting on a story involving him. DeFrancesco, who has made millions on early-stage marijuana companies, sent the message to Teri Buhl, a freelance journalist. DeFrancesco is a prolific investor in the marijuana sector and is currently the chair of SOL Global Investments, both of which said they had no comment about the tweet when reached by BNN Bloomberg. Corporate governance expert Richard Leblanc, who has no involvement in this matter, said the content of the text message DeFrancesco sent to Buhl warrants immediate attention from Sol's board to determine if this violates the company’s code of conduct. 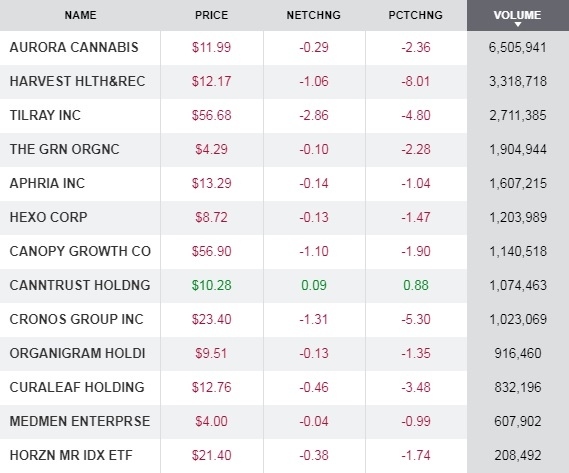 -- The amount that Canadian cannabis producer Tilray has invested in pot retailer Spiritleaf’s parent company Inner Spirit. The investment includes a $1.5 million secured short-term loan at an annual rate of 12.0 per cent. Tilray owns about a 6 per cent stake in Inner Spirit, a company spokesperson said.